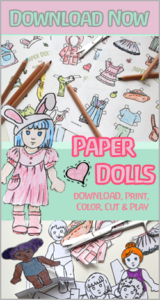 I learned dollmaking some years ago, teached by a classic waldorf kindergarten teacher and dollmaker. 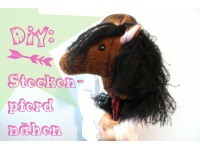 I learned how to sew very traditional waldorf dolls. 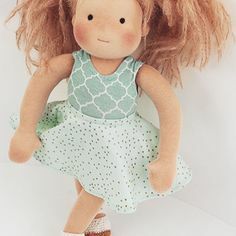 But I quickly realized, although loving this very traditional look and classic approach, I soon prefered to design my own patterns for my own dolls. I always wanted to change things up here and there, since I never was quite satisfied with the look – once I wanted to have bigger doll feet to fit the shoes better, then I would like to have a neck or shoulders for the doll I had in mind. 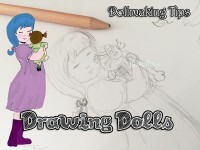 So I had to take pen and paper and start from scratch, designing my own doll pattern. It took me quite some time, trial and error along with sewing and dismissing again, starting all over and cursing though. Eventually I achieved the look I wanted for my very own dolls. But nevertheless I am still on my own journey to the perfect doll pattern (since I tend to get restless quite quickly and start adding and changing things up again). So at this point I would like to share my knowledge and write a short summary on the subject of doll body proportions patternwise: The basis of almost all waldorf dolls body pattern is the rectangle*. It almost always starts with the head – you have to take the head measurements first, since all other proportions are based on the heads size. The length of the body, measured down the neck thread to the crotch, corresponds one and a half times the heads height. The legs also, but excluding the feet (they are added up extra). And an arm then is twice the length of the head. In other words; The head corresponds one-quarter of the total body length. 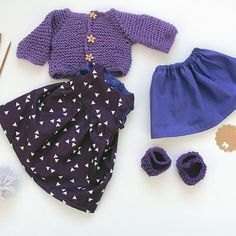 Broadly speaking, the arms should end on the level of the crotch when loosely hanging down (this can vary a little, depending on the sought “dolls age”, since dolls representing older children tend to have smaller heads in relation to the whole body). Lifted up above the head the hands should come together above the vertex nearly touching (again, dolls representing younger ones or baby dolls have shorter arms, resulting in them not being able to bring the hands together above their head but rather ending somewhere above ear level). The toes should be able to reach the nose when bending the legs up. Let’s assume our doll’s head is 6 cm wide and 7 cm tall. We then want to first determine the total length of the body. In order to do so we just multiply the heads height three times: 3 x 7 cm = 21 cm. So our doll will be 28 cm total in size (body and head) later. The body width – ie from shoulder to shoulder – also corresponds approximately the width of the head – in this case it here means 6 cm. 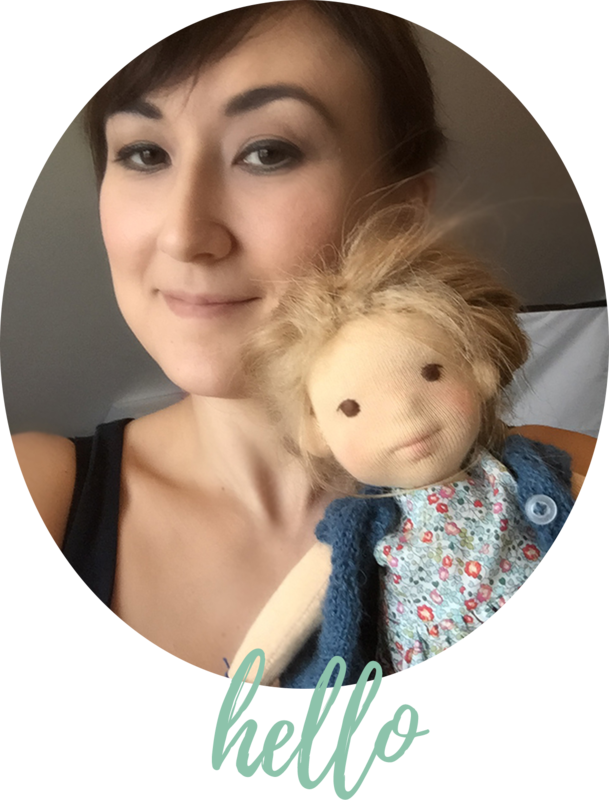 All this is just my personal point of view – I create my own dolls and their patterns on this “framework”. 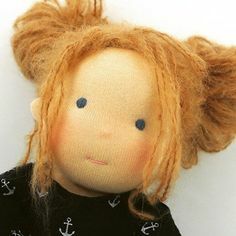 It in no way is mandatory for doll making, but in my opinion it is good to know this basic knowledge about the body and dolls proportions (Haven’t I already blogged about this plenty before?). All this in no way means you have to stick to every bit of it now. In fact I varied up and ventured from this given basics quite some time myself – some dolls simply need to have slightly longer legs, shorter arms or narrower shoulders, or… But to have this knowledge on proportions in mind in order to then change things up now and then or deviate from the norm can be very handy. Which in turn does not mean that this doll will be loved less. Maybe even the opposite?! Don’t we like the others little flaws and imperfections even more so making them more human and likeable to us? Well, I guess it is true what they say – beauty or perfection always lies in the eye of the beholder. This may perhaps apply even more so for dolls. vielen Dank für Deinen Kommentar! 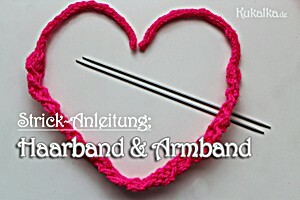 Ich feue mich, dass Dir meine Tipps weiter helfen konnten. Viel Freude beim Abenteuer Puppenmachen wünsche ich Dir. 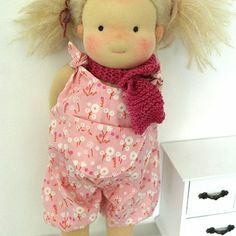 Deine Tochter freut sich sicher, weil sie die Liebe spüren wird, mit der ihre Puppe gemacht wurde!